Frost & Sullivan Asia Pacific White Paper ‘Elevate Customer Engagement in the Digital Age’. Aspect auto dialer systems have helped thousands of companies around the world increase productivity, raise customer satisfaction and improve profits from collections, service or sales efforts. That’s why Frost and Sullivan has ranked, Aspect #1 in the outbound contact center market for 10+ years. 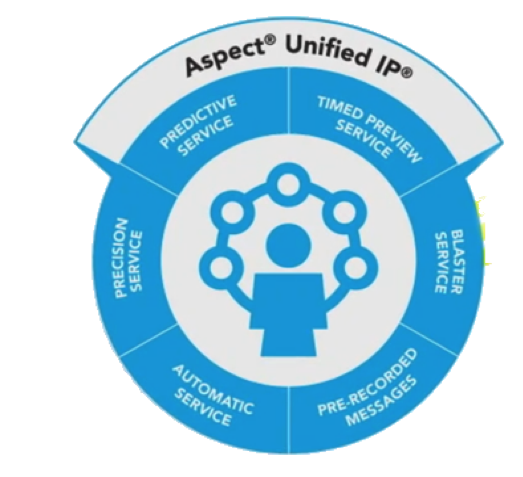 Aspect Unified IP is a complete, software-based, unified platform that helps enterprise contact centres deliver remarkable customer experiences across every conversation and every channel – through a single, elegant software platform. The solution brings all contact options together, in one place, on one platform, so informed and empowered agents can keep talking, typing and conversing.At the same time, it minimises customer effort, providing a differentiated multichannel, multichoice customer experience across voice, email, web chat, IM and SMS. Aspect CXP delivers all the tools you need to design, develop, document, test, deploy, report on and analyze your self-service applications. Aspect CXP self-service applications are 100% portable and operate seamlessly with our own premise and cloud solutions, but can also be used alongside other contact center platforms. With Aspect® CXP Pro™, it’s easy to implement and maintain personalized IVR that has a big positive impact on first-contact resolution rates – freeing up your contact center agents to address more complex problems. We call it Modern IVR, helping companies to exploit the full set of IVR capabilities. Aspect Performance Management is a powerful framework for turning a multitude of data points into better decisions with KPI-based reports and dashboards, alerting and notification, and workflow automation. 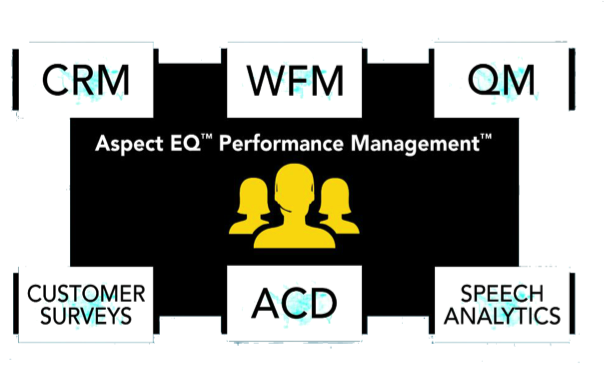 Aspect Performance Management synthesises data across the contact centre and the enterprise at large – from routing systems, workforce management, quality management, customer records (CRM), and more. It delivers role and user-based reports and dashboards that ensure alignment of contact centre activities with operational and strategic goals and includes a powerful workflow engine that automates key business processes based on KPI achievement.